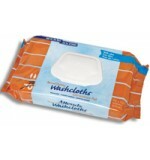 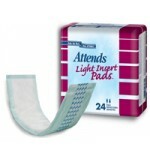 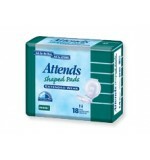 We offer a variety of Incontinence Supplies and disposable underpads for all your needs. 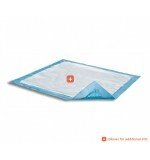 Call us today for our full list and inventory, or visit our Chandler location today. 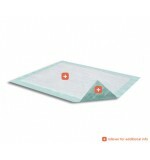 23x36" UPAD Pads (Green) (UFS-236G) ..
ABENA UnderWear Abri-Flex L3 Incontinent Absorbency level: 2400 ml Hip size: 100-140 cm Unlike other equivalent incontinence products, Abri-Flex has more elastic threads, which provides a firm and comfortable body fit and stays in place for active use. 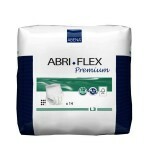 Abena’s Abri-Flex range offer a d..
Attends Brief 8 Large CS (Bro830) 4/24 ..
Attends Brief 8 Medium CS (Bro820) 4/24 ..
Attends Brief 8 X-Large CS (Bro840) 3/24 ..
Attends Pull-On Briefs 7 Medium (APP0720) 4/20 ..
Attends Insert Pad 4 (IP0400) 144/Bulk ..
Attends Pull-On Briefs 7 X-Large (APP0740) 4/14 ..
Attends Pull-On Briefs 7 Large (APP0730) 4/18 ..
Attends Pull-On Briefs 7 Small (APP0710) 4/20 ..
Attends Shaped Pad 4 Cs (SPO400) 4/30 ..
Attends Washcloths Pop-Up PAK-WCPP 1000 ..
Kendall Curity Maternity Pads 24/Bag 12Bags/Case 24/12 ..